We just love these monogrammed sunglasses. 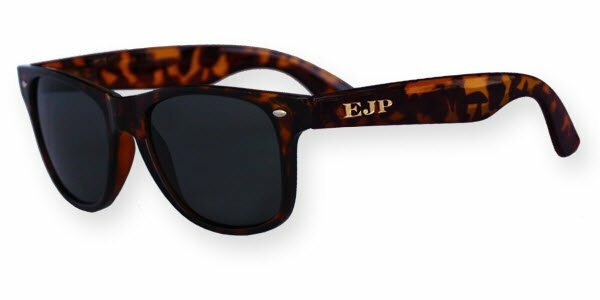 Bold, classy or sassy, you can show who you are when you personalize these glasses your way! This classic shape is always in style and designed to flatter all size faces. 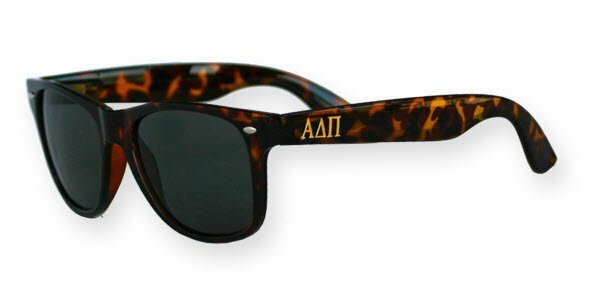 Great for sororities too! Price: $32.00 In stock! - Browse this brand: Shady BusinessOur products are custom made to your specifications. This product ships up to 2 weeks after your order is placed. Where would you like your engraving?